I love how light the sky is directly behind the bird. Beautiful!!! 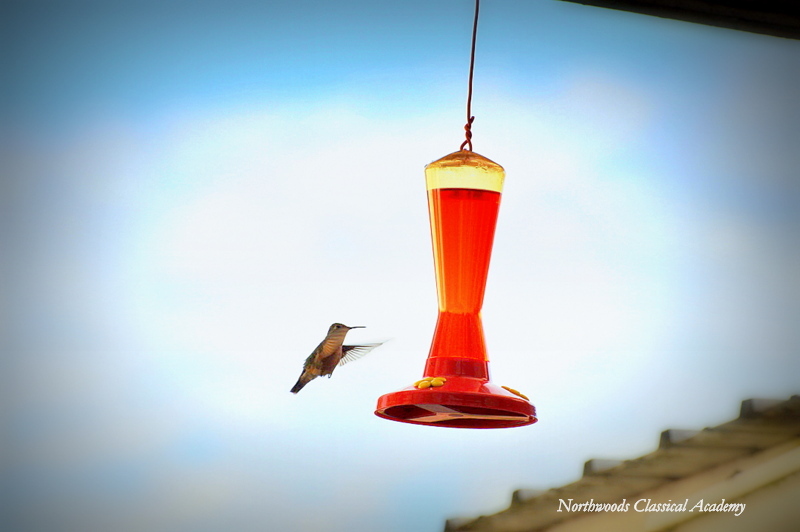 I’ve tried to photograph our hummingbirds before, but always came out with blurry wings. What settings did you use? I use a Nikon D90, and I think it was set on automatic focus. It’s hard because the birds are so quick, and your camera needs to be close by, or you may miss it. I’m glad one turned out! Very nice photo! I love hummingbirds! Your photo came our very nice!